Microsoft Kills Clip Art, Looks to a Less Gaudy Future. If there’s one thing that turn an otherwise professional looking document into a piece of horrifying garbage it’s clip art. Back in the days when graphics on computers were a still a nascent field, one populated with people with little artistic style, they were the go-to source for images to convey a message. Today however, with clip art’s failure to modernize in any way (mostly due to the users who desperately cling to it’s disgustingly iconic style) it’s become a trademark of documents that have had little to no thought put into them. Microsoft has been aware of this for some time, drastically reducing the amount of clip art present in Office 2010 and moving the entire library online in Office 2013. Now that library no longer contains any clip art at all, now it just points to Bing Images. As someone who’s had to re-enable access to clip art more times then he’d have liked to I’m glad Microsoft has made this move as whilst it won’t likely see everyone become a graphic designer overnight it will force them to think long and hard about the images they’re putting into their documents. The limited set of images provided as part of clip art usually meant people would try to shoehorn multiple images together in order to convey what they were after, rather than attempting create something in Visio or just searching through the Internet. Opening it up to the Bing Image search engine, which by default filters to images which have the appropriate Creative Commons licensing, is obviously done in a hope that more people will use the service although whether they will or not remains to be seen. However what’s really interesting about this is what it says about where Microsoft is looking to go in the near term when it comes to its Office line of products. Most people wouldn’t know it but Microsoft has been heavily investing in developing Office to be a much more modern set of documentation tools, retaining their trademark backwards compatibility whilst making it far more easier to make documents that are clean, professional and, above all, usable. The reason why most people wouldn’t know about it is that their latest product, Sway, isn’t yet part of the traditional Office product suite but with Microsoft’s push to get everyone on Office 365 I can’t see that being the case for too long. Sway is essentially a replacement for PowerPoint, yet another Microsoft product that’s been lauded for it’s gaudy design principles and gross overuse in certain situations. However instead of focusing just on slides and text it’s designed to be far more interactive and inter-operable, able to gather data from numerous different sources and present it in a format that’s far more pleasing than any PowerPoint presentation I’ve seen. 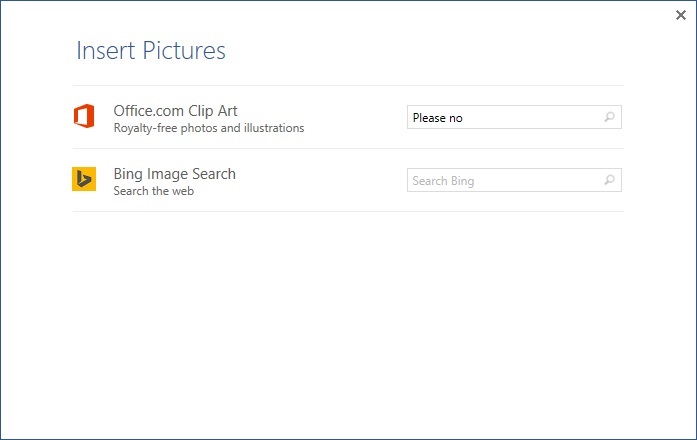 Unfortunately it’s still in closed beta for the time being so I can’t give you my impressions with it (I’ve been on the waiting list for some time now) but suffice to say if Sway is the future of Microsoft’s Office products than the ugly history of clip art might end up just being a bad memory. It’s just more evidence that the Microsoft of today is nothing like the one it was in the past. Microsoft is still a behemoth of a company, one that’s more beholden to it’s users than it’d like to admit, but we’re finally starting to see some forms of innovation from them rather than their old strategy of embrace, extend, extinguish. Whether its users will embrace the new way of doing things or cling to the old (like they continue to do) will be the crux of Microsoft’s strategy going forward but either way it’s an exciting time if you’re a Microsoft junkie like myself. When Will Buying Clothing Online be as Good as Offline? I’m not exactly what you’d call a fashionista, the ebbs and flows of what’s current often pass me by, but I do have my own style which I usually refresh on a yearly basis. More recently this has tended towards my work attire, mostly because I spend a great deal more time in it than I did previously. However the act of shopping for clothes is one I like to avoid as I find it tiresome, especially when trying to find the right sizes to fit my not-so-normal dimensions. 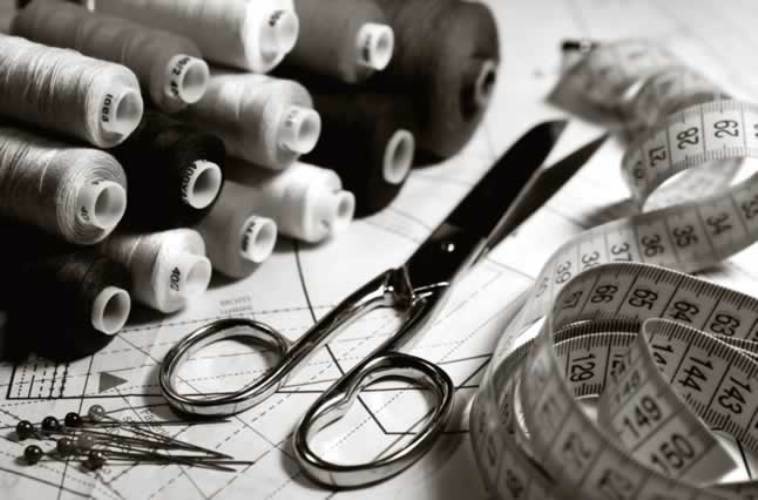 Thus I’ve recently turned towards custom services and tailoring in order to get what I want in the sizes that fit me but, if I’m honest, the online world still seems to be light years behind that which I can get from the more traditional fashion outlets. For instance one of the most frustrating pieces of clothing for me to buy is business shirts. Usually they fall short in one of my three key categories (length, sleeve length and fit in the mid section) so I figured that getting some custom made would be a great way to go. So I decided that I’d last out for a couple shirts from 2 online retailers, Original Stitch and Shirts My Way, to see if I could get something that would tick all 3 categories. I was also going to do a review of them against each other to see which one of the retailers provided the better fit and would thus become my defacto supplier of shirts for the foreseeable future. However upon receiving both shirts I was greeted with the unfortunate reality: they both sucked. They seemed to get some of the things right, like the neck size and overall shirt length, however they both seemed to be made to fit someone who weighed about 40kg more than I do with the mid section being like a tent. Both of them also had ridiculously billowy sleeves, making my arms appear to be twice as wide as they should be. I kind of expected something like this to happen with Original Stitch, since their measurements aren’t exactly comprehensive, but Shirts My Way also suffered from the same issues even though I followed their guidelines exactly. Comparing this to the things I’ve had fitted or tailored in the past I was extremely disappointed as I was expecting as good or better service. The problem could be partially solved by technology as 3D scanning could provide extremely accurate sizing that online stores could then incorporate in order to ensure you got the right fit the first time around. In fact I’d argue that there should be some kind of open standard for this, allowing all the various companies to develop their brand of solutions for it that would be interoperable between different clothing companies. That is something of a pipe dream, I know, but I can’t be the only person who has had this kind of frustration trying to get the right fits from online retailers. I guess for now I should just stick with the tried and true methods for getting the clothing that I want as the online experience, whilst infinitely more convenient, ultimately delivers a lacklustre product. I’m hopeful that change is coming although it’s going to take time for it to become widespread and I’m sure that there won’t be any standards across the industry for a long time after that. Maybe one day I’ll be able to order the right fits from the comfort of my own home but, unfortunately, that day is not today. Cleaning Up Toxic Communities With Reputation and Soft Bans. It’s pretty well known that the communities that surround the MOBA genre, whether it be the original DOTA or the newer incarnations such as DOTA2, League of Legends or Heroes of Newerth, are spectacularly hostile. Indeed in the beginning when DOTA was just a custom application many people relied on 3rd party ban services, many of which relied on user generated lists to filter out bad people. Of course these being user generated led to a lovely hate cycle where people would simply ban whoever they felt like. Once you were past that barrier it didn’t get much better with any requests for help or misunderstanding of certain mechanics usually earning you a place on those lists. It was for this reason that many of us just stopped playing the original DOTA, the community around it was just horrifically toxic. There was hope that the newer entries into the MOBA scene would help to alleviate this somewhat as a fresh platform would give the community a chance to reinvent itself. Unfortunately, at least in my experience on HoN (I only played 3~4 games of LoL), the same toxic community sprouted once again and I found myself wondering why I was bothering. 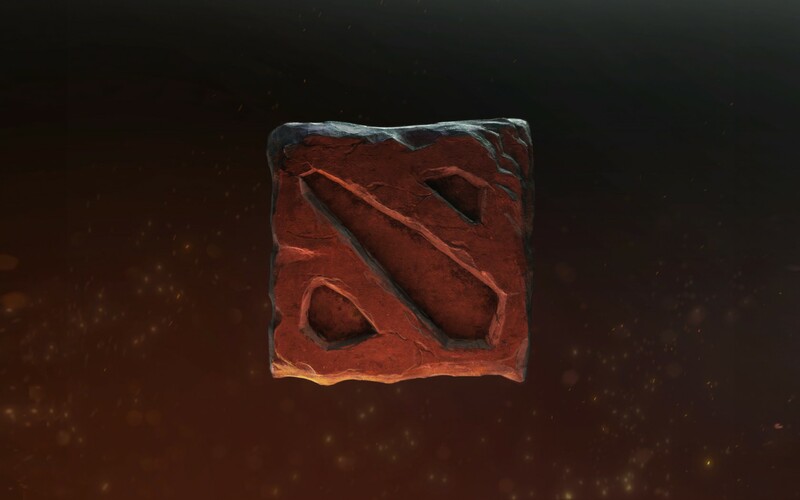 DOTA2 started out the same way with my first few games being marred by similar experiences but there was enough to the game that kept me coming back and something strange started to happen: the people I was playing with were becoming infinitely better. Not just in terms of skill but in terms of being productive players, those with an active interest in helping everyone out and giving solid criticism on improving their play. Initially most of that was due to me moving up the skill brackets however there was still a noticeable amount of toxicity even at the highest skill levels. What really made the change however was the introduction of communication bans, a soft ban mechanism that prevents a player from communicating directly with their team, limiting them to canned responses and map pings. Whilst the first week or two were marred with issues surrounding the system, although I do bet a few “issues” were people thinking they were in the right for abusing everyone, soon after the quality of my in game experience improved dramatically. It’s even got to the point where I’ve had people apologize for losing their cool when it’s pointed out to them something which has just never happened to me before in an online game. It was then interesting to read about Microsoft’s new reputation system that they’ll be introducing with the Xbox One. Essentially there’s 3 levels of reputation: “good players” which compromise most of the gaming community, “needs attention” a kind of warning zone that tells you that you’re not the saint your mother says you are and finally “avoid me” which is pretty self explanatory. It’s driven by an underlying score that centers on community feedback so a group of jerks can’t instantly drop you to avoid me nor can you simply avoid a game for a couple months and have it reset on you. Additionally there’s a kind of credibility score attached to each player so those who report well are given more weight than those who report anyone and everyone who looks at them the wrong way. Considering my experience with the similar system in DOTA2 I have pretty high hopes for the Xbox One’s reputation system to go a fair way to improving the online experience on Xbox Live. Sure it won’t be perfect, no system ever is, but you’d be surprised how quickly people will change their behavior when they get hit with something that marks them as being a negative impact on the community. There will always be those who enjoy nothing more than making everyone else’s online life miserable but at least they’ll quickly descend into an area where they can play with like minded individuals. That avoid me hell, akin to low priority in DOTA2, is a place that no one likes to be in for long and many are happy to pay the price of being a nice person in order to get out of it. I love me some Sony products but I’m under no delusion that their user experience can be, how can I put this, fantastically crap sometimes. For the most part their products are technologically brilliant (both the PS3 and the DSC-HX5V that I have fit that category) but the user experience outside that usually leaves something to be desired. This isn’t for a lack of trying however as Sony has shown that they’re listening to their customers, albeit only after they’ve nagged about it for years before hand. After spinning up my PS3 again for the first time in a couple months to start chipping away at the backlog of console games that I have I feel like Sony needs another round of nagging in order to improve the current user experience. The contrast between Sony’s and Microsoft’s way of doing consoles couldn’t be more stark. Microsoft focused heavily on the online component of the Xbox and whilst there might be a cost barrier associated with accessing it Xbox Live still remains as the most active online gaming networks to date. Sony on the other hand left the access free to all to begin with and has only recently begun experimenting with paid access (the jury is still out on how successful that’s been). One of the most notable differences though is the updating process, major source of tension for PS3 owners worldwide. As I sat down to play my copy of Uncharted 3: Drake’s Fortune I first greeted with the “A system update is required” message in the top right hand corner of my TV. Since I wasn’t really planning to go online with this one just yet I figured I could ignore that and just get to playing the game. Not so unfortunately as it has been so long since I last updated that Uncharted 3 required an update to be applied before I could play it. Fair enough I thought and 15 mins later I was all updated and ready to go. Unfortunately the game itself also had an update, pushing back my game time by another 5 minutes or so. This might not seem like a lot of time (and I know, #firstworldproblems) but the time taken was almost enough for me not to bother at all, and this isn’t the first time it has happened either. Nearly every time I go to play my PS3 there is yet another update that needs to be downloaded either for me to get online or to play the game that I’m interested in playing. My Xbox on the other hand rarely has updates, indeed I believe there’s been a grand total of 1 since the last time I used it. Both of these approaches have their advantages and disadvantages but Sony’s way of doing it seems to be directly at odds with the primary use case for their device, something which doesn’t necessarily have to be that way. In fact I think there’s a really easy way to reduce that time-to-play lag to zero and it’s nothing radical at all. Do the updates while the PS3 is turned off or not in use. Right now the downloading of updates is a manual process, requiring you to go in and agree to the terms and conditions before it will start the downloads. Now I can understand why some people wouldn’t want automatic updating (and that’s perfectly valid) so there will have to be an option to turn it off. Otherwise it should be relatively simple to periodically boot the system into a low power mode and download the latest patches for both system and games that have been played on it. If such a low power mode isn’t possible then scheduling a full system boot at a certain time to perform the same actions would be sufficient. Then you can either have the user choose to automatically install them or keep the process as is from there on, significantly reducing the time-to-play lag. I have no doubt that this is a common complaint amongst many PS3 users, especially since it’s become the target of Internet satire. Implementing a change like this would go a long way to making the PS3 user base a lot happier, especially for those of us who don’t use it regularly. There’s also a myriad of other things Sony could do as well but considering how long it took them to implement XMB access in games I figure it’s best to work on the most common issue first before we get caught up in issue paralysis. I doubt this blog post will inspire Sony to make the change but I’m hopeful that if enough people start asking for it then one day we might see it done.